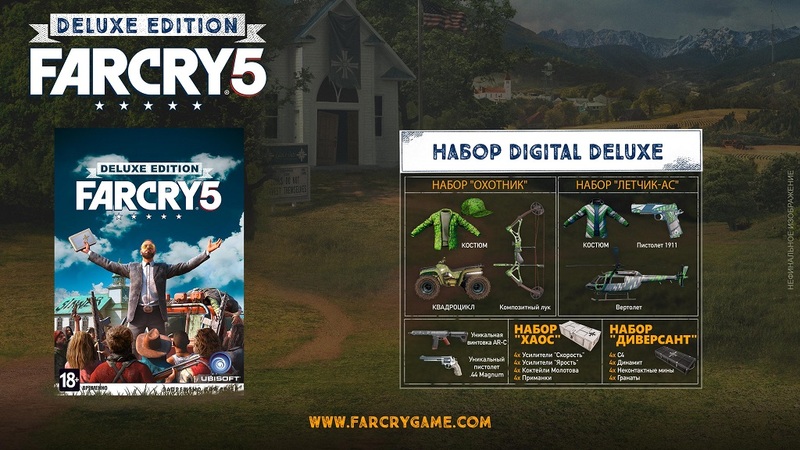 - A set of Digital Deluxe, providing early access to some types of equipment, vehicles and expendable items, which will prove very useful in resisting the fight against the Gate of Eden Project. - The set "HUNTER" includes: a composite hunter´s bow, a hunter´s quad bike and a hunter´s suit. - The set of "LETCHIK-AU" includes: pistol aka 1911, helicopter ace and a suit of pilot-ace. 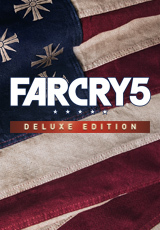 - The set "DIVERSANT" includes additional expendable items: dynamite (x4), C4 (x4), grenades (x4) and non-contact mines (x4). 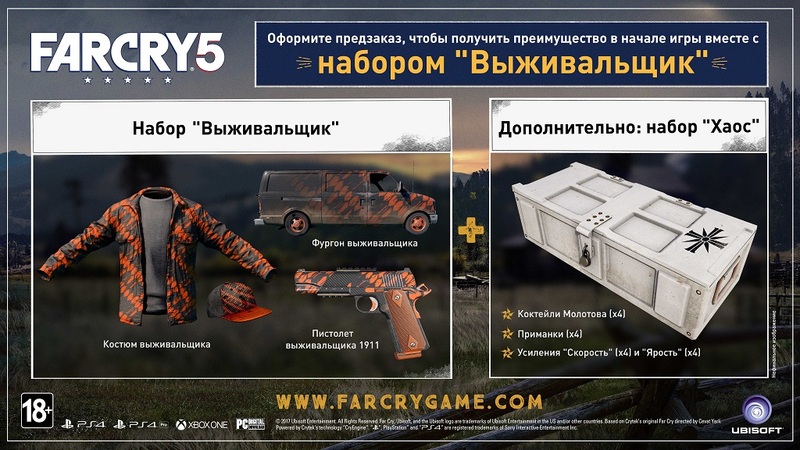 - The set of "CHAOS" includes additional consumable items: reinforcement "Speed" (x4) and "Rage" (x4), Molotov cocktails (x4) and bait (x4).